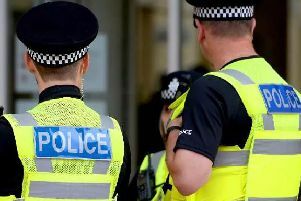 A 27-year-old local man was discovered in Eldridge Crescent, Rose Green, with serious head injuries on Saturday evening, police confirmed. A spokesman said officers were called to nearby Grosvenor Gardens, at 10.47pm on Saturday following concerns for a man, he was taken to St Richard’s Hospital in Chichester for treatment. Police added that two people were arrested on suspicion of committing grievous bodily harm with intent, they are a 20-year-old man from Grays in Essex and a 21-year-old man from Lewisham in London, both have been released on police bail until 27 May pending further enquiries. The spokesman said a third person was arrested, an 18-year-old man from Bognor Regis, who received a caution for possession of cannabis. Anyone who saw what happened is asked to report it online at www.sussex.police.uk or call 101 quoting serial 1422 of 05/05, alternatively, visit www.crimestoppers-uk.org or contact it anonymously on 0800 555 111.